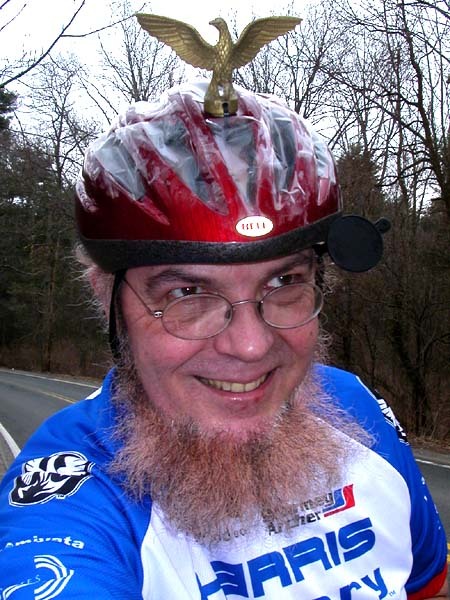 "Sheldon Brown, the human encyclopedia of bicycling knowledge and a famous employee of Harris Cyclery in Massachusetts, died of a massive heart attack Sunday evening, February 3, according to his wife Harriet. The 63-year-old bicycle expert was diagnosed with primary progressive multiple sclerosis in August 2007, limiting his prior upright bicycling and workload. His many trademarks include a longish gray leprechaun beard and shaved head. He was also well-known for patiently and thoroughly answering his 500 - 1000 daily emails. Our thoughts are with Brown's family during their time of loss. His contributions to the bicycle industry were great, and his enduring legacy shall be greater."